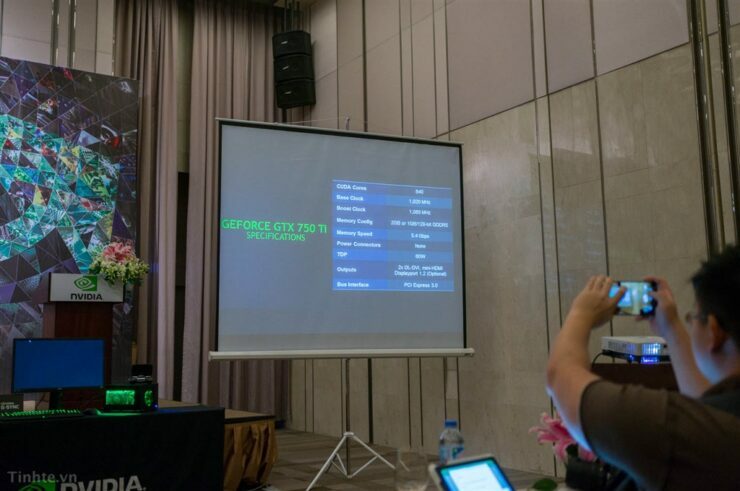 NVIDIA’s Maxwell based GeForce GTX 750 Ti and GeForce GTX 750 graphics cards have been detailed in official slides which were leaked by Vitamenese forums. 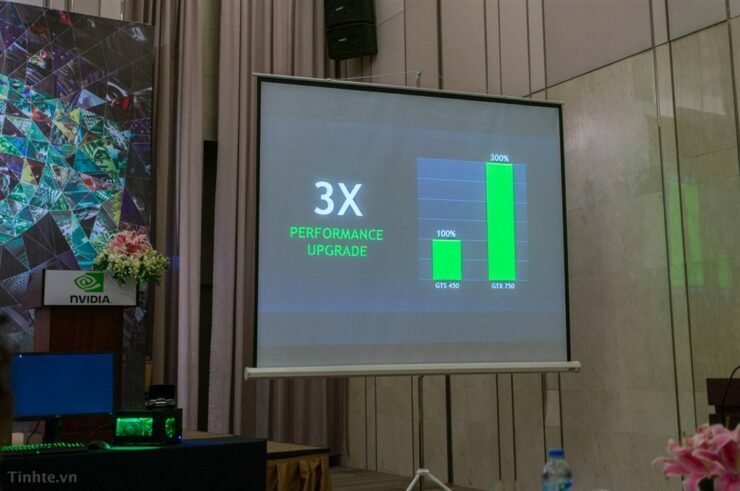 NVIDIA Maxwell is the latest generation of graphics core being developed by the green team which brings enhanced performance and higher power efficiency as detailed in the architecture preview of the Maxwell core. Images are courtesy of Tinhte.vn! 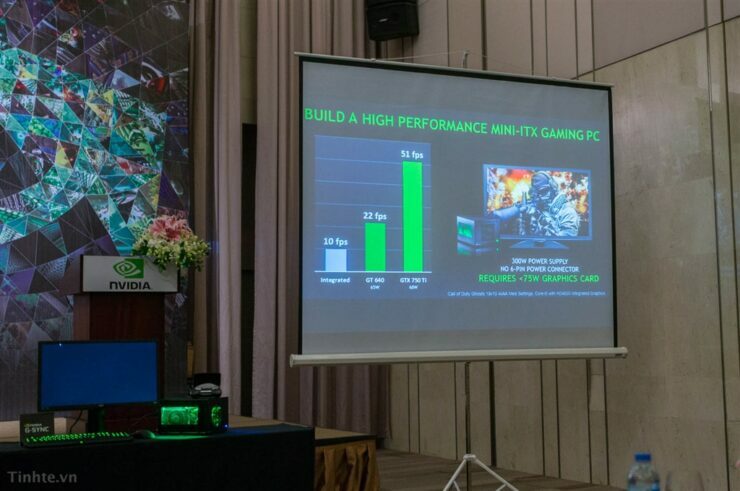 The slides were displayed by NVIDIA APAC at a conference in Ho Chi Minh City, Vietnam. 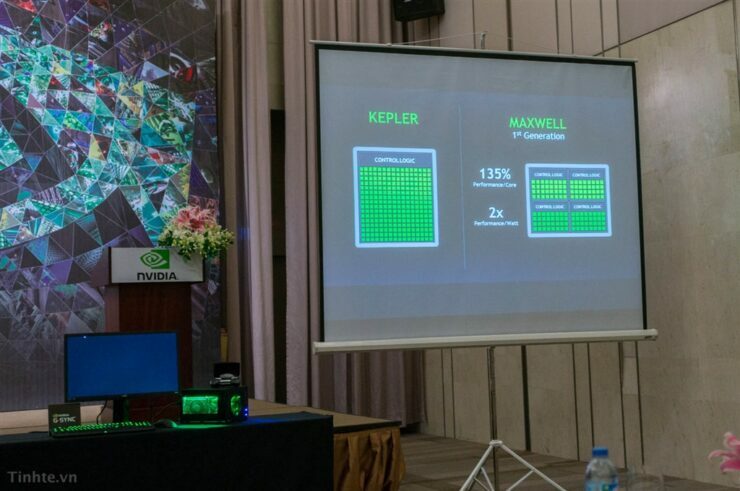 They are quite interesting and shows NVIDIA’s plans for their 2014 GPU lineup which will introduce the latest Maxwell core architecture. It can be seen from the slides that NVIDIA’s inital Maxwell lineup would be based on the first generation of the GPU core which features the SMM (Streaming Multiprocessor Maxwell), The SMM or Streaming Multiprocessor of Maxwell will replace the SMX of Kepler and each of the SMMs are assembled into four blocks yet are defined as part of a single SMM which means the core architecture has got quite dense with Maxwell. Each of these blocks hold 32 CUDA cores so a single SMM with four of these operation units results in 128 CUDA cores. The SMM has 128 CUDA cores compared to 192 CUDA cores on the SMX. The GM107 GPC ‘Graphics Processing Cluster’ consists of five of these streaming multiprocessors which are connected to a Raster Engine. Each SMM consists of Polymorph Engine 2.0 which includes the Vertex Fetch, Tessellator, Viewport transform, attribute setup and stream output. Each SMM has 8 texture mapping units which equates to 40 on the whole chip and 16 ROPs while connected to two 64-bit memory controllers. More details on the GM107 Maxwell core are available here. 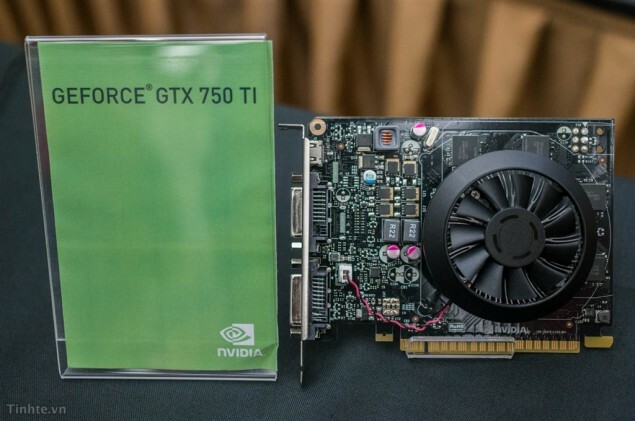 The NVIDIA GeForce GTX 750 Ti will be the top most GM107 graphics card featuring 640 CUDA Cores, 40 TMUs, 16 ROPs and a 2/1 GB GDDR5 memory operating along a 128-bit interface. The clock speeds would be maintained at 1020 MHz for core, 1085 MHz boost and 1400 MHz memory clock along a 128-bit interface with an effective memory clock of 5.4 GHz. The card would ship in both 1 GB and 2 GB GDDR5 variants with display outputs that include 2 DL-DVI, mini HDMI and a Display port 1.2. Total TDP of the card is rated at 60W so no power pins are required for the card to function yet some manufacture’s would add on their non-reference cards just to add stability. The GeForce GTX 750 Ti would launch on 18th February 2014 for a price around $129-$139 US. The NVIDIA GeForce GTX 750 (Non-Ti) is also based on the GM107 core architecture featuring 512 CUDA Cores, 32 TMUs, 16 ROPs and a 1 GB GDDR5 memory interface. The clock speeds for this graphics card are configured at the same 1020 MHz core and 1085 MHz boost but the memory runs slower at 5.0 GHz effective clock speed (1250 MHz QDR). 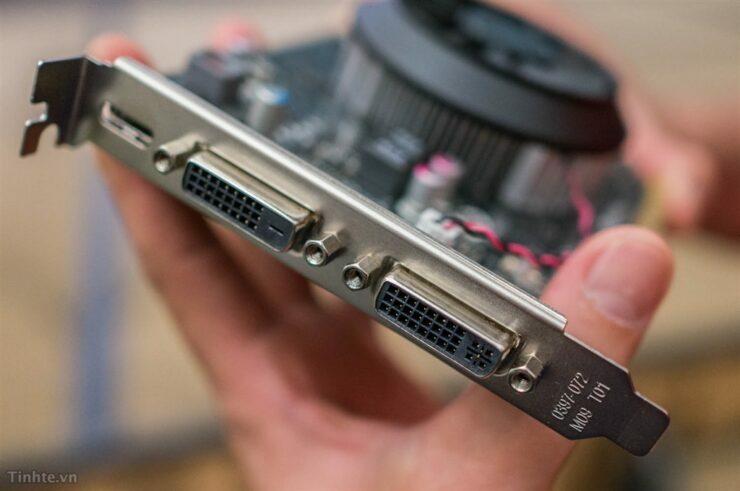 The GeForce GTX 750 has an even lower TDP of 55W which makes it an highly efficient card for its price range. 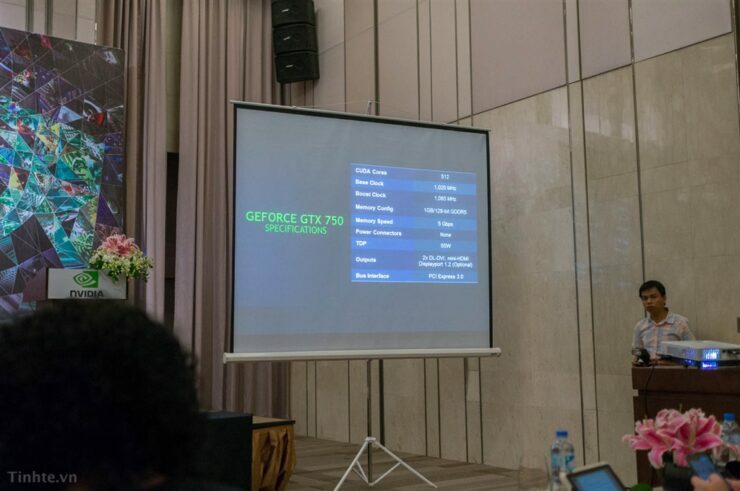 The GeForce GTX 750 is also planned for launch on 18th February and would stick close to the $100 US price range. 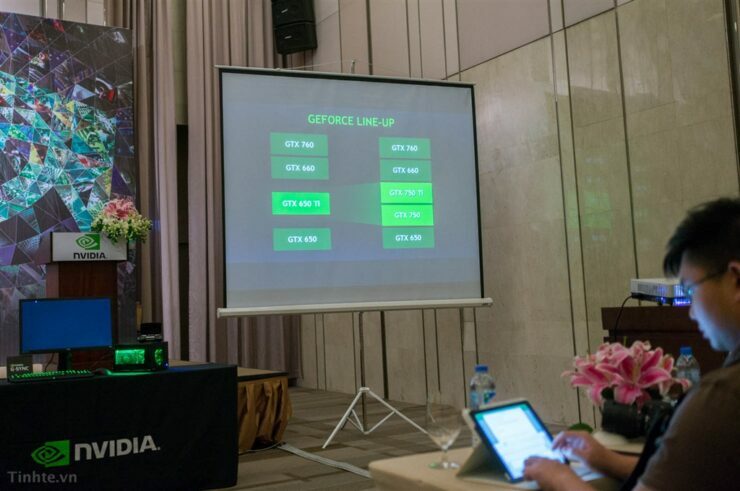 NVIDIA also confirmed during the conference that they are planning to introduce the GeForce 800 series which is fully based on the Maxwell architecture in second half of 2014. 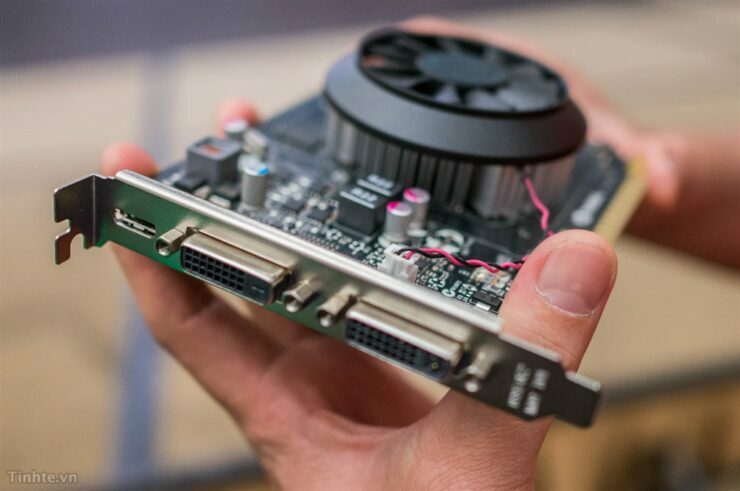 This means that we will see the proper high-performance GPUs such as the replacements for GeForce GTX 780, GeForce GTX 770 and GeForce GTX 760 in Q3 2014. We have already noted codenames of the high-end Maxwell chips which include GM200, GM204 and GM206, however NVIDIA didn’t mention what process they would be based on but early reports point out to 20nm. The initial Maxwell lineup consists of two cores which include GM107 for the GeForce 750 series and the GM108 for entry level GeForce 800M SKUs such as the GeForce GT 840M. 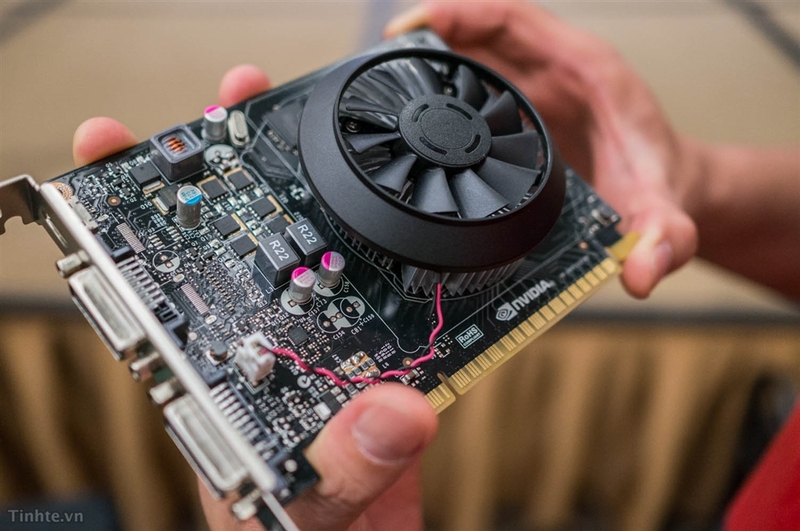 Lastly, i wanted to mention the GeForce GTX Titan Black which is NVIDIA’s upcoming high-performance graphics card aimed towards both enthusiast gamers, HPC users, developers and content creators. 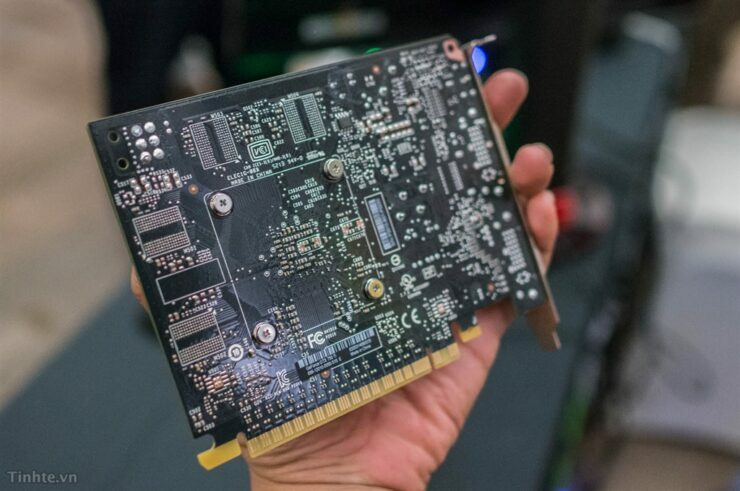 New shots of the PCB from HardwareLuxx show that the card would feature the GK110-430-B1 core which features full 2880 CUDA Cores assembled in the 28nm die with 240 TMUs, 48 ROPs and a 6 GB GDDR5 memory running along a 384-bit interface. The card will have a full double precision cores unlocked for unparalleled amount of compute performance in a TDP headroom of just 250W that is 50W lower than Hawaii XT. Core clocks would be insane for a card of this specs such as 7 GHz mem clock and around 900 MHz+ boost clock for the core. The card would be silent and cool and will drive 4K resolution like a beast. The card how ever would be priced at $999 US just like its predecessor so it will still fall in the enthusiast price range. 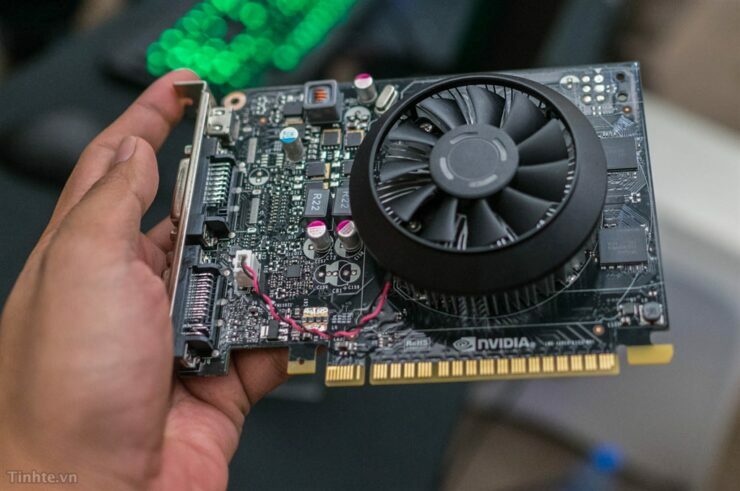 The GTX Titan Black is an impressive card no doubt from its specifications perspective but how will it perform in the market remains to be seen. The launch date for the GeForce GTX Titan Black is just along side Maxwell on 18th February.